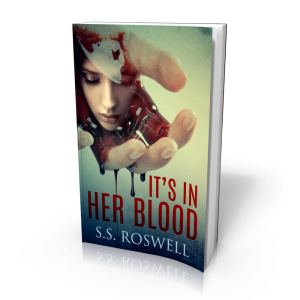 “It’s in Her Blood,” by S.S. Roswell, is a suspense novel with a unique plot that keeps the reader engaged from start to finish. The story follows the protagonist, Gail, as she embarks on a search for her kidnapped husband. She is accompanied by her friend Mike, and together they discover that Gail's past is different than it seems, making the search for Gail's husband that much more complicated. Roswell does an excellent job pacing the plot, keeping the reader interested. The characters were developed well, and the reader will genuinely feel invested in Gail a few chapters in. I always try to guess what happens next when reading, but this book has so many twists and turns it's impossible to know what happens next. A recommended read for any suspense/thriller fans.